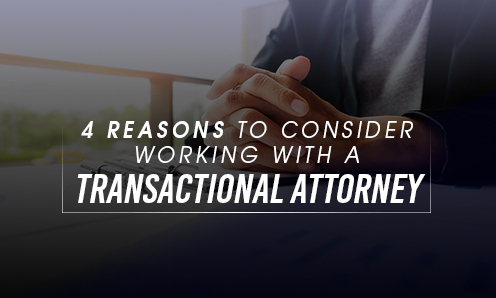 4 Reasons to Consider Working with a Transactional Attorney - Alex Ramirez, Esq. When the other side sees that you have an experienced transactional attorney on your side, the proposed terms that you receive at the outset may be more favorable than the terms that would otherwise have been presented to you. Also, an experienced attorney with industry experience can provide an additional viewpoint to help you evaluate and refine proposed terms, whether such terms are presented in a letter of intent or in a more formal, definitive agreement. Additionally, an experienced attorney may discover important relevant background information while performing legal due diligence, which information can enhance your bargaining position and serve as a basis to obtain more favorable terms. A transactional attorney can add credibility to a client’s position. The involvement of an attorney provides added assurance to the other party that the transaction will be handled professionally and in a manner consistent with industry customs. An experienced transactional attorney can review your proposed agreement and suggest changes to reduce the risk of litigation. In addition, an experienced transactional attorney can skillfully edit the contract terms as needed to enhance your position and reduce your exposure to litigation. During contentious negotiations, a party can reduce the risk of costly, protracted negotiations by making its proposals through an experienced attorney. In many instances, the other side may be more receptive to a proposal received from a party’s attorney as compared to the same proposal being received directly from the other party. In addition, an experienced transactional attorney can help you skillfully articulate proposed terms and to craft contract provisions in a manner that is palatable to both sides. An experienced attorney can also help persuade parties to forgo unreasonable negotiating positions. 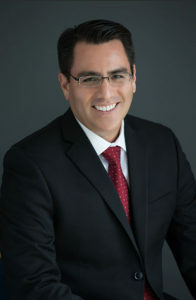 Author: Alejandro “Alex” Ramirez, Esq. For additional information, please visit: www.arlegalteam.com. Nothing herein is intended to be a representation or guarantee about the outcome of any transaction. This communication is informational only and does not create an attorney-client relationship. The content herein provides general information relating to California law only and is not a substitute for legal advice. The views expressed may vary depending on the context. You are encouraged to consult with an experienced attorney before taking any action that may affect your legal rights.